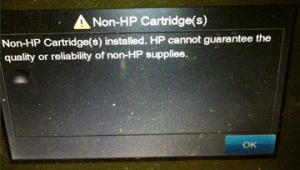 1) Upon installation of a refilled HP 970, 970XL, 971 & 971XL ink cartridge you will observe various ‘Used’, ‘Counterfeit’ & ‘Non-HP’ alert messages. Choose ‘Yes’, ‘Continue’ and/or ‘OK’ to bypass the various nuisance alerts. This will enable normal print operations. 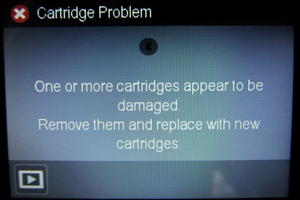 If your HP 970XL or HP 971XL ink cartridge suffered an electronic or physical failure and you need to replace your existing cartridges, may we suggest you try a remanufactured ink cartridge from our partner, Inkplicity. All ink cartridges have a high reliability rating, come with a 1-year warranty and we provide free shipping for all orders above $30 (USA residents only). BONUS — enter code SAVEME15 during cart checkout to get an extra 15% off your entire purchase. 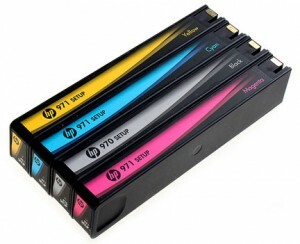 Insert the refilled HP 970, 971, 970XL, 971XL ink cartridge into your printer. 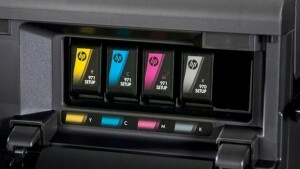 Your printer/computer may display an ink alert message, such as “Non-HP Cartridge(s)” or “Non-Genuine Cartridge” immediately following refilled cartridge installation. Press proceed/continue/accept/yes/OK to dismiss this prompt.